Prizes of 10.000 Eur for HRs from Romanian and multinational companies . Bucharest, April 20th 2015: Trainart (www.trainart.ro), Romanian company specialized in integrated personal development services for corporate segment, launches the Campaign „Business Role Models”. By this campaign, underlining new visual identity and a new business concept: the Empowered. Resourceful. Spectacular individual, Trainart offers awards amounting to over 10.000 Eur to Romanian and multinational companies registered in the contest. 2nd prize, Mind Tricks/Creativity and Innovation Training Program (duration 2 days/team of max 12 members); and the 3rd prize consists of Individual coaching sessions (8 sessions of 1 hour long). Spectacular – who inspires you, is memorable. These, as we believe at Trainart, are the natural characteristics of any self-balanced person. Therefore, along with human resources specialists from Romanian and multinational companies, Trainart is looking for ERS people. „After seven years of activity, Trainart has approached a new development stage, and through this campaign we wish to celebrate by giving back to business environment some of our experience”, state Adriana Boscanici, founder Trainart. To participate in this campaign, the Human Resources Specialists shall recommend, by filling up a short form, 1-3 ERS individuals from their company, with arguments and concrete results prooving their colleagues are ERS. Trainart will take interviews with every recommended person, and these interviews will be uploaded on company`s blog. At the end of the year, a jury consisted of Trainart guests, top managers, C level, entrepreneurs will evaluate every registered candidate in the Contest based on the application and the interview, according to several criteria such as the complexity of the business situation solved, the context of the situations solved, originality of the manner in which the solutions were found and applied. The winning company will receive one of Trainart prizes. The campaign searching for ERS people runs between April-September 2015, the winners will be announced in October, and the programs will be delivered in January-February 2016. The regulation for this campaign for specialists who want to register their coleagues may be accesed at http://www.trainart.ro/blog/. Established in 2007 as a company focused exclusively on soft skills training services, Trainart now offers integrated services: coaching, training and development through theatre directing techniques. 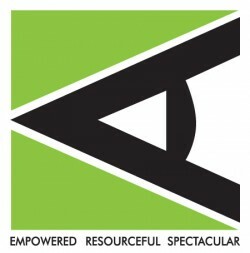 The slogan „Empowered.Resourceful.Spectacular.” reflects the natural features of any individual interested in business, that Trainart discovers and develops through an unitary and integrated process of coaching, training, and development through theatre directing techniques. The new logo emphasizes the symbol of the eye, a powerful and human element with numerous significations associated with the perspective about the world and evolution. Founded in 2007, Trainart is a Romanian company which offers integrated services of personal development, coaching-training-development through theatre directing techniques. Trainart clients are national and multinational companies and active in fields and industries such­­­­­ as Pharma, Retail, FMCG, Oil&Gas, Automotive, Financial Services, IT&C, Business Services, Logistics & Distribution. For more details, access the www.trainart.ro and www.facebook.com/trainart.ro.